which has helped 115 children recover from a diagnosis of autism. It will include discussion on diet, CD, and the Kalcker parasite protocol. This will be followed by a Q & A. ​"CD is very affordable as you can purchase a two to three month supply from multiple worldwide suppliers on the Internet for around $25USD. The cost difference between the CD Autism Protocol and a mega Vitamin/supplement based biomedical protocol for a family living without insurance (or in a third world nation) could be the difference between recovering their child and not recovering their child. The results are also vastly different. You can think of CD as a shortcut to recovery because it kills all pathogens with one shot. Hypothetically, you could use antibiotics, antifungals, and antivirals to get the same results; however, you could also cause damage due to harmful side effects from these products (liver and kidney stress, etc.). Also, antibiotics, antifungals, and antivirals can only target certain bacteria, viruses, and fungi. CD targets all types of pathogens based on their electrical charge and pH. The particular strain is irrelevant. CD causes no side effects, leaves no toxic residues, and causes no liver damage. It causes no new stress to already stressed bodies. Everything else we use to kill pathogens leaves something behind. For example, antibiotics also kill your beneficial bacteria, and antiviral use comes with contraindications and side effects. CD is gone from the body one hour after your last dose, leaving no trace behind. We dose hourly throughout the day because CD is only active in the body for up to one hour. We must continue to dose if we want to stop the proliferation of pathogens and eliminate them from the body. With CD we are attacking the biofilm all day as CD destroys the electron shells of the different molecules making up pathogens, therefore releasing toxins into the bloodstream. This release of toxins is the principal reason one must go slow and build up the dose, to avoid a Herxheimer reaction as so many of these children are very toxic. If we kill too many pathogens at once, too many toxins enter the bloodstream. ​The body will immediately look to eliminate them, most notably through diarrhea and vomiting. This is unpleasant and totally avoidable. CD is so benign you can use it on your skin, hair, ears, eyes, orally, rectally, vaginally, inhaled, etc. At the doses we use CD in aqueous solutions; it is not detrimental to healthy cells. It specifically targets pathogens due to their negative charges. This is an inexpensive treatment modality available in every continent of the world. Watch for reactions while you load the dose. Low and slow is the rule. " 1 drop 8x a day for children under 25 lbs, 2 drops 8x a day for children under 50 lbs, and 3 drops 8x a day for children under 100 lbs. The more doses that we can get in one day the better, 8 doses are the minimum. The Low and slow rule is best though. One drop at a time...Avoid the Herxheimer's Reaction. You do not have to be rich to recover your child from Autism. videos and accounts that educate us about autism. Video of complete presentation by Kerri Rivera including slides. Kerri’s community sees autism as fungi, bacteria, virus, parasites, heavy metals, inflammation & autoimmune issues. CD is an oxidizer which is within the range the body can use without destroying human tissues. CD is a selective killer that kills pathogens and helps to restore the Krebs cycle function, giving energy to the body. She went over some very detailed facts about the chemistry of CD and why it works, explaining how CD is metabolized to healthy end products that the body actually needs to function. She detailed the difference between CD and bleach, which it has been so ignorantly claimed to be by misleading media reports, as well as how terrible it would be for someone to give anyone laundry bleach internally as it would harm and possible kill them. Kerri explained how CD can be used to detoxify the body by taking a low concentration oral dose. Enemas with CD can be added to help the liver, gallbladder and lymph systems flush, as well as kill pathogens. The proper dosing of CD is determined by weight and tolerance. CD can safely kill bacteria while not developing a resistance to it as is common with antibiotics. Kerri discussed the oxidation process of CD and how it is different than a metabolic poison. TCDO, a chlorite derivative, is being used at $6,000/treatment cost but isn’t even as effective as CD. Kerri explained how CD is used in our drinking water to protect humans from pathogens in the water supply. CD can also oxidize heavy metals. Hair analysis has shown a drop in two weeks. Once metals are oxidized they can be expelled by the body. CD is not carcinogenic as shown in a 2000 peer reviewed EPA study on CD safety. The body needs chlorine/chloride for it to function properly. There are many cited papers showing CD is safe to use. In Europe ALS is being treated with CD. Quantity makes the poison. Kerri discussed a few common things used to help the body that are well-known but in excess would be dangerous. This light hearted discussion shows that something as simple as water can be spun to be made to look bad. No one should make statements that CD is the same as “bleach” because it could endanger the lives of people who might apply this misinformation out of ignorance. She talked about bleach mixing with ammonia which makes a toxic gas. If laundry bleach were taken internally, the ammonia in our bodies would interact and it would be very fatal if not toxic. The toxicology of CD was discussed showing studies that prove it is safe including US government use. An impressively long list of patents describing the use of CD were shown, including over-the-counter products. She explained the difference between a Herxheimer reactions and side effects (such as from drugs). Herxheimer reactions are to be avoided. Enemas--a topic people really get uncomfortable about. This topic had some rather funny items, especially when considering the history of this procedure. Unknown Substances which are likely pathogens/parasites. Kerri discussed “rope worm” as some call it, and that it requires further research. However, it has been found to have no human DNA, so it is something foreign to the body and would be helpful to eliminate. She provided documented information about the drugs/chemicals parasites excrete, including ammonia, morphine and MDA. A few species of parasites use B12. It is common in autism to have low B12. Kerri summarized the 7 steps her protocol uses and the synergistic effect that occurs when the steps are done together. There are variable speeds of recovery, and while her son is not fully recovered, the ones who do recover quickly help inspire everyone. this was an inexpensive treatment modality available in every continent of the world. watch for reactions while you load the dose. Low and slow is the rule. We arrived at the one-drop at a time dose. Dosing Recommendations: 1 drop 8x a day for children under 25lbs, 2 drops 8x a day for children under 50lbs, and 3 drops 8x a day for children under 100 lbs. He told me that the more doses that we can get in one day the better, 8 doses are the minimum. A Herxheimer reaction indicates that the patient is suffering from an overload of pathogens/toxins. If the person taking CD has a fair amount of pathogens, the rapid killing of these invaders produces excess toxins in the bloodstream. It is these substances that the body wants to rid itself of in short order. People with autism often have impaired methylation cycles that reduce their ability to eliminate toxins, making it even more difficult to handle an influx of toxins. So LOW AND SLOW is the way to go. Children with autism typically don’t (or can’t) tell you they have nausea. However, discomfort may be visible from seeing that they’re eating less, their eating habits have changed, or they’re more listless than usual. That’s usually a sign of detox, and in which case, we won’t give the child any more CD that day. Detox is great, it’s what we want, but without stressing the body further. We need to stay just beneath a Herxheimer reaction. ​If any of these symptoms appear, suspend the remaining doses of CD for the rest of the day. The following day, return to the number of doses given when the child was stable, which is usually the dose that was given the day prior to the Herxheimer reaction. ​The Low and Slow rule is best though. One drop at a time...Avoid the Herxheimer's Reaction. You do not have to be rich to recover your child from the symptoms of Autism. "Chlorine dioxide (the molecule) was discovered in 1814, with many giving credit to Sir Humphrey Davy for its creation, and today several patents exist for healing various ills with it (see list on page 85 of Kerrie's Book). 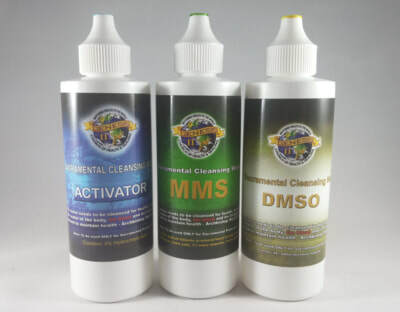 MMS (Master Mineral Supplement) – I rediscovered chlorine dioxide in 1996 and since then more than 1,020 people have traveled from more than 95 countries to the Dominican Republic, Mexico, and other countries, to be trained in its use. By our estimation, more than 10 million people worldwide have used chlorine dioxide. The highest cost of a set of bottles of sodium chlorite + activator is less than $25 for 4 ounces of each. This means that almost any place in the world the average dose of chlorine dioxide is less than 4 cents, or less than $.40 a day or $25 for 2 months. In most places it is even less than that. So far there is no one in the world who can’t afford it or who wouldn’t be able to get it merely by asking if they can’t afford it. The chlorine dioxide molecule is the weakest of all oxidizers used in the human body and thus has very little effect on human cells. This molecule has the unique ability to recognize and oxidize (kill) harmful bacteria. Hans Christian Gram, a scientist of the 19th century, discovered that most harmful bacteria have a negative charge. He was able to dye positive and negative bacteria two different colors. His techniques are still used in laboratories and universities. All oxidizers, including chlorine dioxide, have a positive charge that will attract and kill negatively charged bacteria while repelling positively charged bacteria. until ½ of them die. ​The amount of chemical or food that it takes to kill 5 of the 10 rats determines the LD50 number. Every chemical has a toxic rating and is indicated as an LD50 number. All chemicals are toxic in large enough quantities and there are a lot of unlucky rats in our society. No information was located regarding death in humans following oral exposure to chlorine dioxide or chlorite. Shi and Xie (1999) indicated that an acute oral LD50 value (a dose expected to result in death of 50% of the dosed animals) for stable chlorine dioxide was > 10,000 mg/kg in mice. I should say something about bleach as a number of critics insist that MMS (chlorine dioxide) is a bleach and thus is a poison. 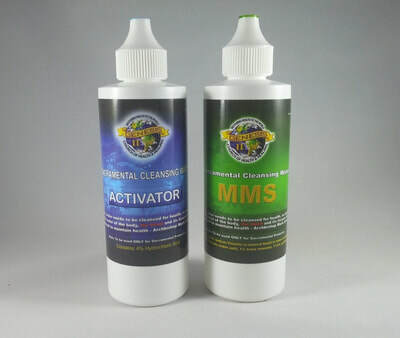 Chlorine dioxide, the chemical that is MMS, has never been used domestically as a bleach for cleaning toilets. It is an industrial bleach when used 4000 times more concentrated than MMS. It is never used for bleaching purposes in the homes of people of this world. Legally, ethically, morally, and logically, if any item does not have the characteristics of a particular item, it cannot be said to be that kind of an item. This means that a chemical that does not have the characteristics of bleach cannot be called bleach. So a chlorine dioxide solution being 4000 times weaker than that of bleach cannot be called bleach. This is a fact accepted in courts of law of the world. I sincerely hope you will take the time to understand the basics of chlorine dioxide as explained here. Any time one has helped someone overcome the symptoms of autism he has helped save a life, as those suffering from the symptoms of regressive autism are not living their full lives. The end result of learning this data is that the time may come when you will need chlorine dioxide to save your own life or that of a loved one." to cash in on CD/MMS or to prevent it from being marketed. ​​Chlorine Dioxide was discovered in 1814 by Sir Humphrey Davy as an effective disinfectant. Since then, numerous companies have patented its use for countless applications, including food and health. The following is an excerpt from Jim Humble’s Nov 21, 2012 Newsletter: "Dr. Andreas Kalcker spoke of patents obtained by different multinational pharmaceutical companies, to cash in on this product or to prevent it from being marketed. That's one reason why they do not want widespread regular use of the product. They want to be able to cash in like with their pharmaceuticals." There have been thousands of reports worldwide of excessive doses of MMS being ingested, however, with the hundreds of millions of tons of this substance used each year worldwide for water purification, preservation of vegetables, sterilization of slaughtered meat, and hundreds of other uses, there has never been a report of a death caused by ingestion of chlorine dioxide. This proves chlorine dioxide to be one of the safest products known. There are many products that contain chlorine dioxide (ClO2) that are currently approved by the Food and Drug Administration (FDA) in US. All for human use...Why did they approve them for their friends at the drug companies? So they can make money off it. Your using it and getting it so inexpensively bothers them. They are losing money. So, they do not want to encourage wide scale use of this amazing product. This protocol is outlined in the "Healing The Symptoms Known as Autism" book. Although it contains "chlorine" in its name, it is very different from hypochlorite (bleach), although they are usually confused. When we mix the sodium chlorite with the acid, we generate chlorine dioxide that is always yellow with a pool smell. But if we mix hyperchlorite with an acid, very strong and toxic, unbearable gases are created. In addition, the reaction creates enough effervescent bubbles, something that does not happen with sodium chlorite. Do not inhale chlorine dioxide gases in a massive way, for a long time, as it can cause irritation in the throat and breathing difficulties. In small quantities for a short time it is innocuous, as shown by the studies of Dr. Norio Ogata. The scientific documentation on the toxicity of chlorine dioxide, refers in principle to inhalation, which is not the same as ingestion in small quantities, which is safe. Water is always added to the mixture that is obtained when we activate sodium chlorite with the acid, obtaining chlorine dioxide in this way. It is never used in a concentrated way. If you splash some liquid on your skin or clothes, wash it with plenty of water. Do not use metal containers! Metal containers react with chlorine dioxide, as they oxidize. This includes stainless steel, since it is an alloy that contains several metals, such as nickel and chromium. Do not use rubber drippers, since these do not have enough resistance to the alkaline pH of sodium chlorite and over time, the gum can dissolve in the liquid, leaving particles in solution. They are also not suitable as droppers since the drops are too large. Only use ophthalmological dropper bottles of PP / HDPE / PE. All these materials are resistant and support alkalinity and acidity (pH 13 / pH 1), and maintain the properties for many years. Transparent plastics of the PET type are not recommended to store the concentrated sodium chlorite for a long time, since in the long run they disintegrate and leave residues in the sodium chlorite solution. PET (Polyethylene terephthalate), contains carbon atoms (C in the drawing), which due to its proximity to oxygen has a low electron density. It turns out to be sensitive to react with sodium chlorite (NaClO2) for high pH, ​​and then the polymer chains disintegrate over time. How can I know if sodium chlorite is in poor condition? The indicator of whether the product is wrong, is its color. If the chlorite, which must be transparent, after activating becomes milky, it is in poor condition. ​The activated color of the CD / MMS should always be transparent yellow-amber, before being diluted with water. PET bottles (clear plastic bottles) should not be used with sodium chlorite, due to their pH13 (if they can be used with CDS since their pH is neutral, glass is the best option if you do not have to transport it). Note: Yes you can use citric acid, to make CDS, since it does not enter the final mixture using a cold method, because only the created gas is used that is bubbled through the water absorbed by this gas, changing to yellow and saturating with chlorine dioxide. ​DISCLAIMER: The information provided in these videos has not been approved nor endorsed by the Food and Drug Administration. Our intention is to provide material for educational purposes only, and in no way whatsoever do we express our intent to substitute the council that only an appropriately trained and licensed medical practitioner can give. Let it be known that you consent and assume any and all responsibility in the consumption of any product you purchase as a result of your watching this video. Furthermore, you accept any and all possible damage, loss or injury felt to be experienced as a result from one's exposure to any content, product or information discussed within this video. Remember, always consult with your medical practitioner or health care professional when dealing with any severe medical condition.